We all have memories from our younger days – places we have been, people we have met, things that we have seen. 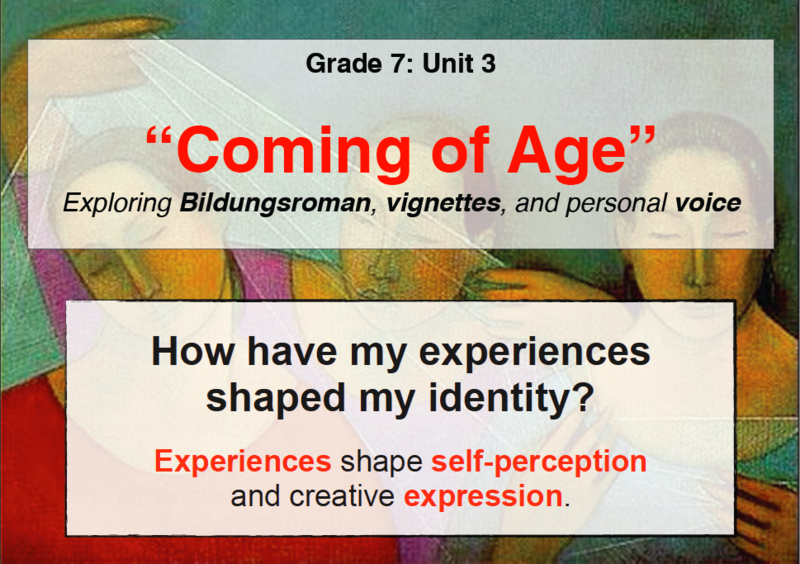 This unit is about recalling, thinking about, and describing experiences from our past. We will consider the influence of these experiences on our identities and learn to craft a ‘voice’ to write creatively about these memories. We will focus on Sandra Cisneros’ The House on Mango Street as a source text. We will become acquainted with the focus of the unit and do some creative writing. We will also begin reading Sandra Cisneros’ The House on Mango Street. When can lies actually reveal the truth? When using figurative language! Today’s lesson is about figurative language use – we will learn to start identifying and analysing such literary techniques. Today’s lesson is about learning about literary language techniques and understanding the value of such language use. We will also outline and start preparing for the exam. In these lessons, we will use Photoshop to apply a vignette effect to a favourite photo. What has this got to do with English, you say? Quite a lot actually! We will also be reading and practising our visualisation skills. We will continue reading The House on Mango Street and explore an important motif of ‘fate vs. free will’. We will also listen to some pop songs! Today’s lessons are all about writing poetry! Why do people write poetry? What is its value? And most importantly, how can we write our own poems? Many of the vignettes in The House on Mango Street deal with shame and embarrassment, which is a common motif in bildungsroman (coming of age) literature. In these lessons, we will learn about the STEAL model of characterisation and apply it to four different girls described by Esperanza. We will see how comparing different characters can actually highlight characteristics of each. This is our revenge match! We will apply what we learned in earlier analytical writing assignments in a follow-up analytical paragraph that focuses on Esperanza’s experiences and identity. In the final lessons, we will write our own vignettes to help others share in our important experiences. We will brainstorm, write, edit, and share our creative works!